Introducing the 500 Million Limited Edition PS4 Pro, commemorating 500 million PlayStation consoles sold. From the original PlayStation, PS2, PSP, PSP Go, PS3, PS Vita, PS Vita TV and most recently PlayStation 4, over 500 million PlayStation consoles have been sold, worldwide – all thanks to you. 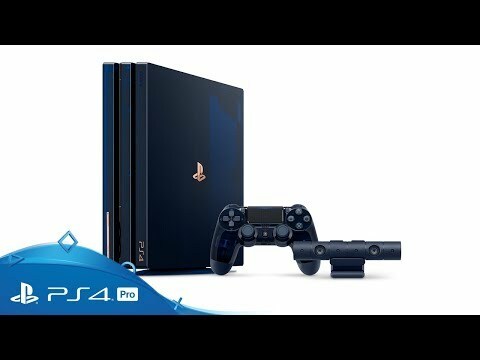 Packaged in a special collector’s box, the translucent dark blue 2TB PlayStation 4 Pro comes complete with a commemorative copper plate on the front displaying its unique limited edition number. And when powered on, you’ll be able to glimpse into the console’s illuminated interior. 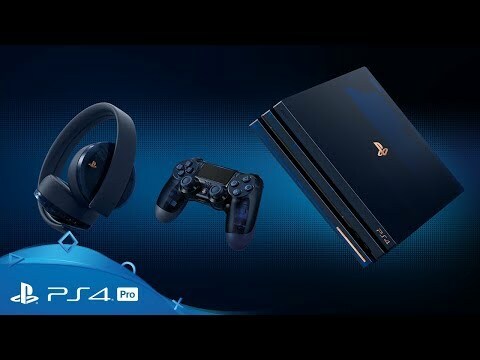 Included with the console are a matching dark blue translucent DUALSHOCK 4 wireless controller, vertical stand, mono headset and a special dark blue PlayStation Camera and stand. Get your grips on gaming history with the 500 Million Limited Edition DUALSHOCK 4 wireless controller. Also available separately, it features the same eye-catching transparent dark blue design with copper detailing. Discover how great your games can sound, with 7.1 virtual surround sound, hidden dual noise-cancelling microphones, a VR optimised limited edition design and access to bespoke audio modes for some of the latest games.